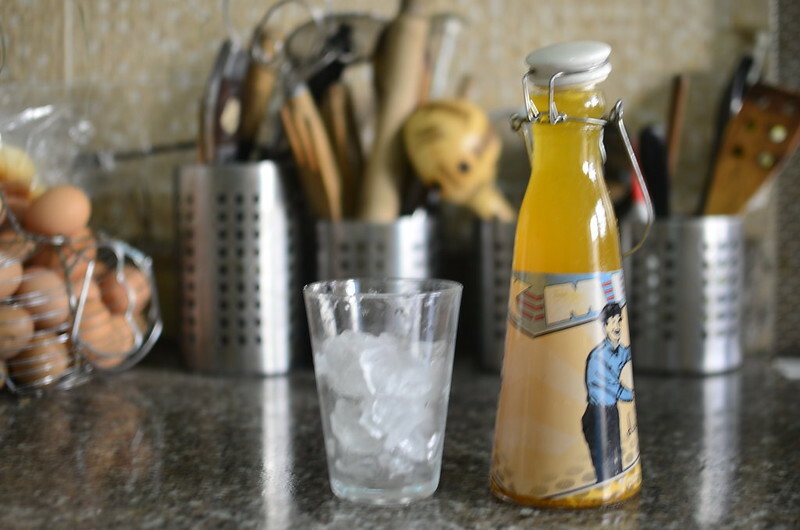 With the remains from the vinegar episode, I decided to make an ‘infusion’. 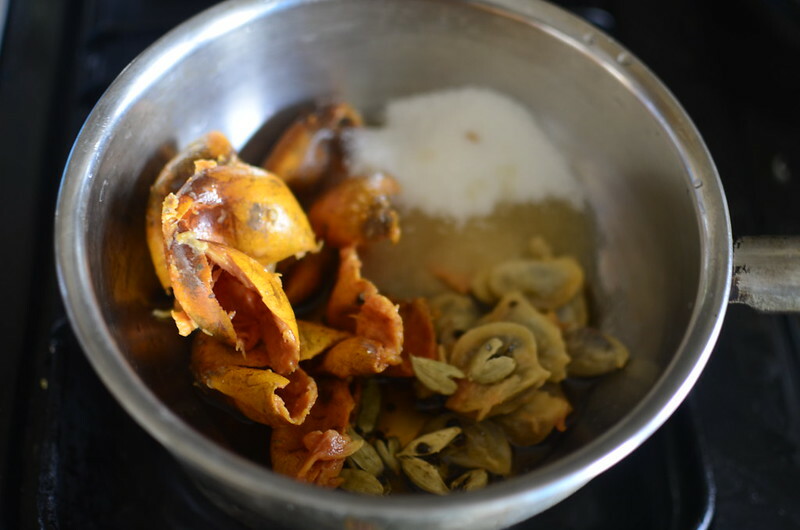 This drink is a classic case of using up leftovers and doing something I’ve wanted to do for ages – make a drink of Agbalumo. The seeds and skin were tossed into pot. I tried to think of what spices would go well with it. Cardamom and vanilla came to mind so that’s’s what I’ve gone with. While it was brewing, I saw the saffron :). You know what happened. A tiny pinch only. Sugar, some cups of water later and 15 minutes of cooking time, we were ready. I let the mixture cool down before decanting, without straining. 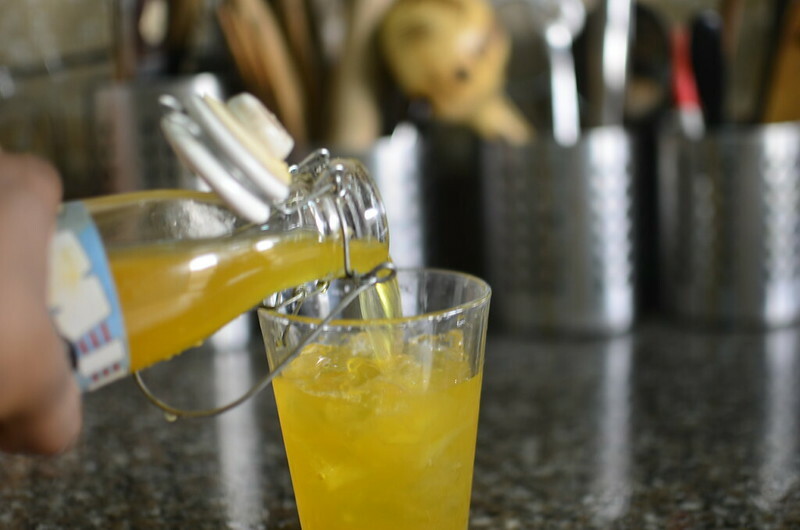 The end result is a bright orange drink with a complex flavor. You get the essence of the fruit, but the saffron lends it an edge reminiscent of ‘bitters’ – Angostura, Orijin (a complex Nigerian blend of herbs and spices), etc. I found it so interesting. On ice, it was awesome. I think it would make an amazing addition to a cocktail or a mixer with orange juice. My daughters loved it, so much so I had to make another batch. In round two, I held back on adding too much saffron and you know what? It tasted the same, just without the gorgeous orange. Oh well, another one learned and added to the ‘must-stays’. 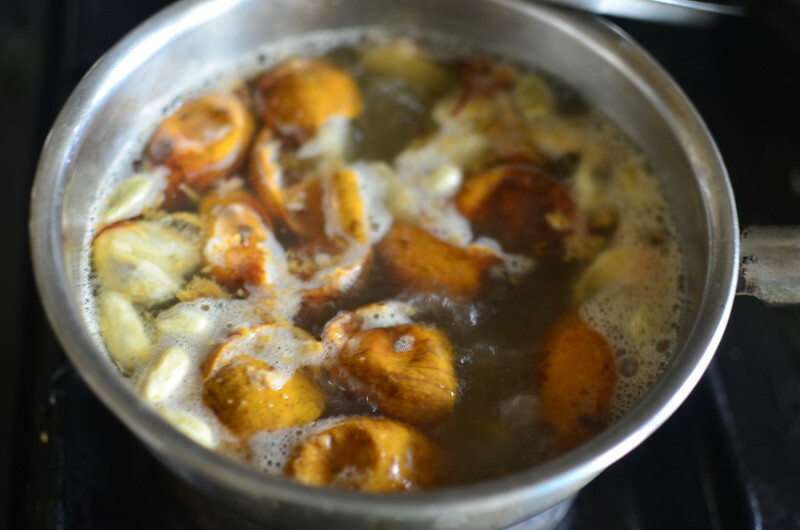 I absolutely love exploring Nigerian fruits and vegetables in season.